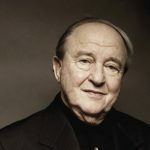 Menahem Pressler, founding member and pianist of the Beaux Arts Trio (founded in 1955), has established himself among the world’s most distinguished and honored musicians, with a career that spans nearly five decades. first prize at the Debussy International Piano Competition in San Francisco in 1946. This was followed by his successful American debut with the Philadelphia Orchestra under the baton of Maestro Eugene Ormandy. Since then, Pressler’s extensive tours of North America and Europe have included performances with the orchestras of New York, Chicago, Cleveland, Pittsburgh, Dallas, San Francisco, London, Paris, Brussels, Oslo, Helsinki and many others. The 1955 Berkshire Music Festival saw Menahem Pressler’s debut as a chamber musician, where he appeared as pianist with the Beaux Arts Trio. This collaboration quickly established Pressler’s reputation as one of the world’s most revered chamber musicians. His other chamber music collaborations have included multiple performances with the Juilliard, Emerson, Guarneri and Cleveland Quartets as well as the Israel Quartet and the Pasquier String Trio. In that same year Pressler began his association with the Music School at Indiana University where today, in honor of his outstanding teaching abilities, he holds the rank of Distinguished Professor of Music. He was awarded the Service Award by Chamber Music America in 1994. Prof. Pressler has received Honorary Doctorates from the University of Nebraska-Lincoln and the North Carolina School of the Arts. He received a Lifetime Achievement Award from Gramophone Magazine in London and the German Critics “Ehrenurkunde” award in recognition of 40 years of being the standard by which chamber music is measured. In addition to over fifty recordings with the Beaux Arts Trio, Menachem Pressler has compiled over thirty solo recordings ranging from the works of Bach to Ben Haim. Born in Magdeburg, Germany, Menahem Pressler received most of his musical training in Israel. His life has always been completely devoted to his music. When not on tour with the Beaux Arts Trio, giving solo performances, or teaching master classes, Pressler can be found teaching at Indiana University. Pressler lives in Bloomington, Indiana with his wife Sara.